Our Mission: Assistance League volunteers transforming the lives of children and adults through community programs. Our vision: Essential needs are met in our community and families flourish. To this end, Assistance League of Omaha is a nonprofit volunteer service organization whose members identify, develop, implement and fund ongoing philanthropic programs to serve specific needs of children and adults in the greater Omaha community. Assistance League of Omaha is celebrating its 43rd year as a chapter in 2018-2019! On February 13, 1973, an Assistance League Guild of Omaha was formed with Fran Batchelder as President. The office was in the basement of the Old Town House on 70th and Dodge. Ninety-five members met in the homes of members during the first year. In 1974, Assistance League of Omaha meetings moved to Countryside Community Church. In the 1974-75 year, the volunteer hours reported were 7,450 supporting two projects: Omaha Community Calendar and Jobs for Seniors. In 1976, meetings were held at First United Methodist Church and the first Christmas Caravan was organized. Assistance League of Omaha was chartered with National Assistance League on May 26, 1976. By 1985, the programs had expanded to include the following: ACT/PSAT Review, (preparation for college testing administered by the College Board), Braille Trail at Fontenelle Forest, Clothing Resource for Santa Monica, Inc., Western Heritage Museum Docents, Midwest Drug Educational Conference, New Friends, and Operation School Bell®. 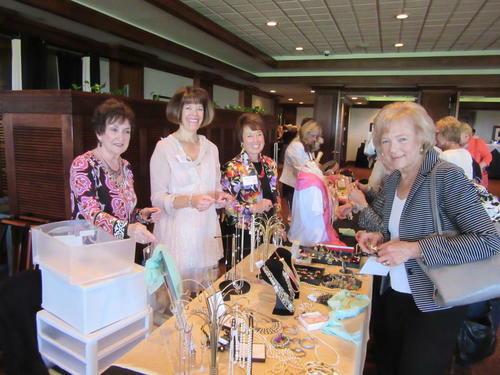 The fundraisers developed to support the philanthropic programs included an Antique Seminar, sales of Born Rich, by Margaret Killian (a history of Omaha), Christmas Caravan, Crafts Committee, Memory Mats, Silk Screen Prints (Judith Welk), and Way Station Gift Shop at Western Heritage Museum. By 1990, three more fundraising activities were added: Ladies Golf Scramble, Assistance League of Omaha Cookbook, and Fun Run. A Strategic Plan reviews the goals and objectives of the various philanthropic programs every two years to enhance their effectiveness. This careful evaluation may result in the elimination of some programs (e.g. because of duplication of service) and creation of new philanthropic programs through the identification of additional needs in our community. 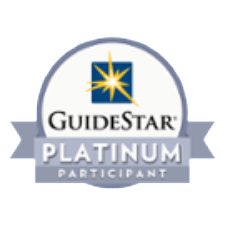 By 2002, the philanthropic programs included: ACT/PSAT Review Seminars, Assault Survivor Kits®, Brush-up Nebraska, Operation Bear Hug, Kaps for Kids, Operation Eyeglasses, Operation School Bell, Operation Teen Parent, and Operation Recovery (Santa Monica). On May 17, 1994, Assistance League of Omaha purchased the building we are currently using, 3569 Leavenworth St. It was with great pleasure that we were able to have the building paid for in 3 years. Our Thrift Shop, located in this building, opened in 1995. Our earliest accounts of sales are from 1998-99 at $39,911. By 2014-15, our Thrift Shop revenue had increased to over $138,000. Thanks to generous donations from our members and friends, a hard-working crew of ‘lofty ladies’, volunteers who staff the shop weekly, and creative, diligent, organized thrift shop managers, it is our golden egg that keeps us in revenue year-round. We began the 2015-16 year with 351 dedicated members. Our current philanthropic programs include ACT/PSAT, Assault Survivor Kits, Make a Difference Day, Operation Bear Hug, Operation School Bell, Operation Recovery and Operation Teen Parent. 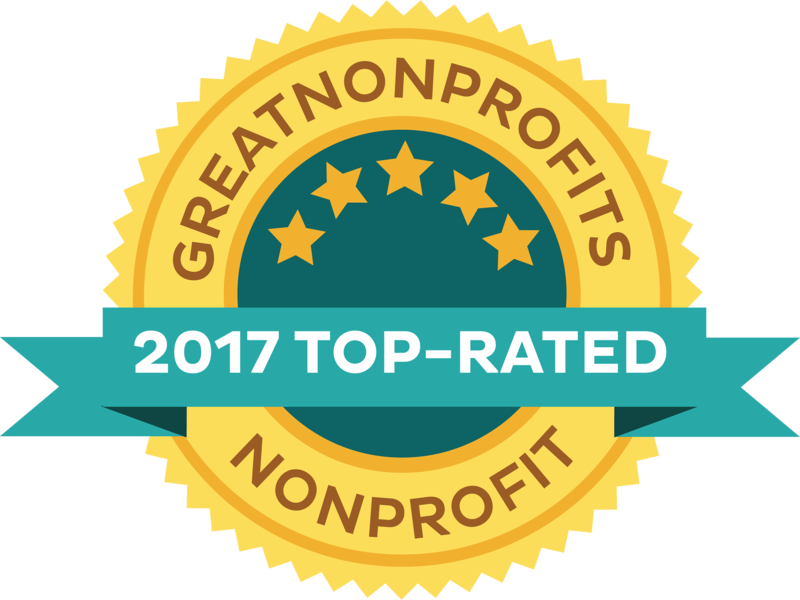 Major fund raising is accomplished through our popular Thrift Shop, Christmas Caravan, Annual Campaign, Style Show, grants, and donations from our members and the Omaha community. 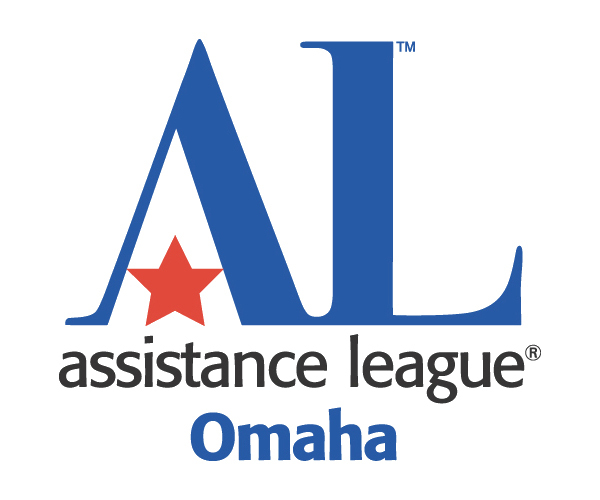 Assistance League of Omaha receives no city, state, or federal monies. Today we are one of 120 Assistance League chapters whose 26000 members have donated 3.2 million hours of volunteer service, serving 1.5 million people, and returning $38.8 millon to their local communities. Our national website can be viewed at www.assistanceleague.org. 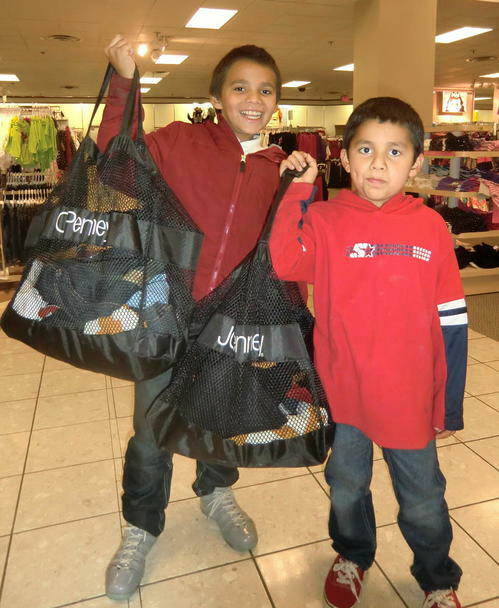 Over three thousand four hundred (3400) children get to shop for new school clothing and shoes each year. Your generosity helps us to get new clothing for school. Thanks! 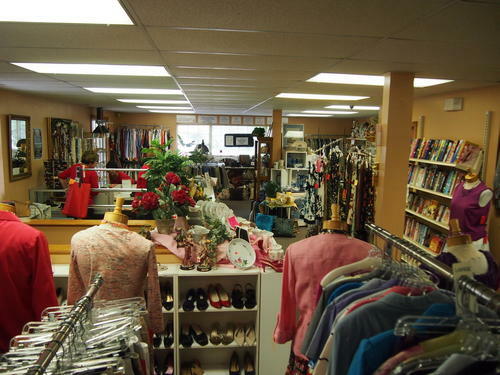 Our Thrift Shop workers also staff the Thrift Shop Boutique for Christmas Caravan and the Thrift Shop table at our annual Style Show. Here are several of our workers at this spring's Style Show.